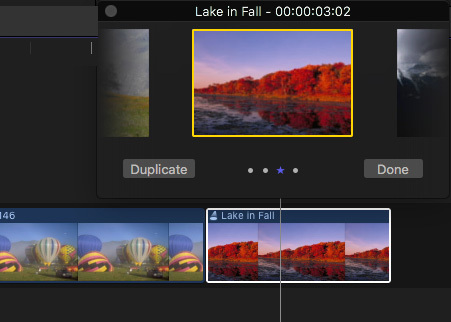 Auditions are a feature in Apple Final Cut Pro X that allow us to quickly bundle and compare different clips, voice overs or effects in our projects to see which one works best for our project. In general, Auditions are created in the Browser and viewed in the Timeline. 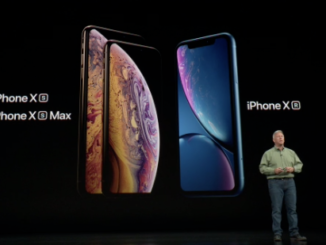 They can include video, audio, stills and effects. Here’s an overview of how they work. Here’s the easiest way to use an Audition. 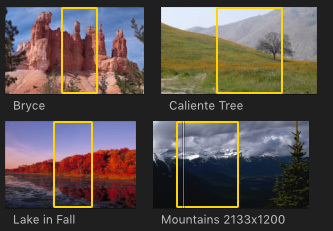 In the Browser, set Ins and Outs on the clips you want to test. (This step is optional, as Auditions allow us to use entire clips.) Select the clips you want to bundle into an Audition; the fastest way to select multiple clips is to Command+click them. NOTE: Clips can be different lengths and Auditions can mix clips that are silent with clips that have sound. With the clips selected, choose Clip > Audition > Create. NOTE: While you can create Auditions in the Timeline, the process is limited and awkward. It is far easier to create the Audition in the Browser. Creating an Audition does not change any of your source clips. 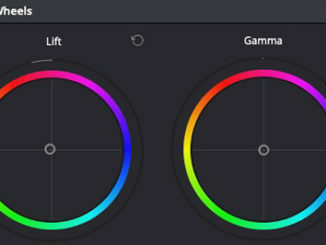 You can modify or remove the In or Out on the source clip without affecting the Audition. The Audition acts like a stand-alone clip. 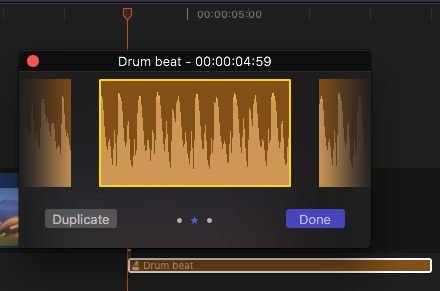 Edit the Audition clip into the Timeline. Now, the magic can begin. 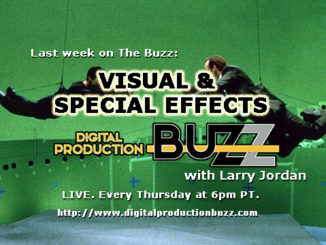 The whole purpose of an Audition is to quickly preview different clips to see which one works the best in your project. Here’s how. In the Audition preview window, click an image to the left or right of the image in the center. This switches the Audition to a different image. Press the space bar to preview this clip. COOL TIP: To see the contents of an Audition, without automatically playing the timeline, click the Audition icon in the top left corner of the Timeline clip. The Audition clip remains in the timeline, in case you want to change your mind later. When you are happy with your decision, choose Clip > Audition > Finalize Audition (Shortcut: Shift + Option + Y). This releases all the hidden clips and converts the selected clip in the Audition into the Timeline as a single clip. You can add clips to an Audition located in the Timeline, by dragging the clip from the Browser, dropping it on top of the Audition clip in the Timeline, and selecting: Add to Audition. 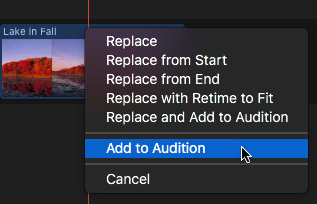 NOTE: You can also replace the currently selected clip by choosing Replace and Add to Audition from this popup menu. SECOND NOTE: The Clip > Audition menu also provides options for adding to an Audition, but I prefer dragging because, to me, it is more intuitive. You can easily use Auditions for audio, the process is the same. This is a very useful technique for quickly comparing sound effects, music cues or voice overs to see which “fits” the best.